My gosh that looks amazing! and i just received some kahlua as a gift the other day! I usually use rice milk in coffee and hot choc. WHERE HAS THIS RECIPE BEEN ALL MY LIFE? 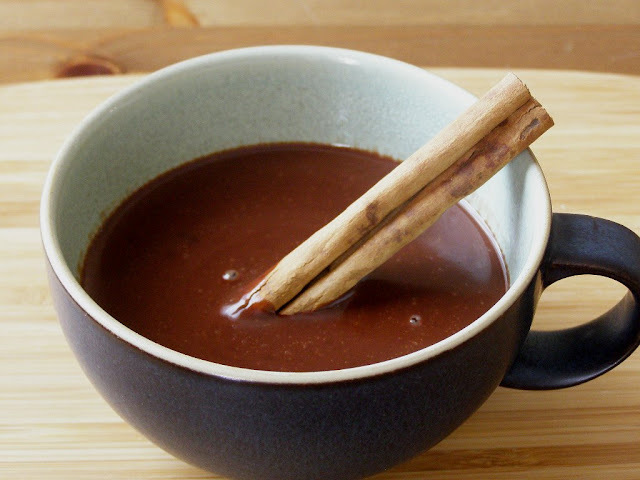 I've been searching for a thick hot chocolate, like they serve in Spain, etc, and now I've found it (or at least the closest vegan version I've seen!) Must admit this recipe is very rich so I could only have half a serving. But it was amazing. Thanks! Thank you! As a new vegan, it is so helpful to find perfected recipes! Thank you for making my hot chocolate a success! I just made the family-friendly version for my daughter and me. Delicious! Super rich and creamy. Thanks!